Zhannat Alshanova: I’m originally from Kazakhstan with a background in management - I have a Bachelor’s degree in Business Administration and a Master’s degree in Marketing. So, before coming to LFS I worked in finance and marketing. Then I decided to move to filmmaking, starting as a PA on the series ‘Marco Polo’ on Netflix. 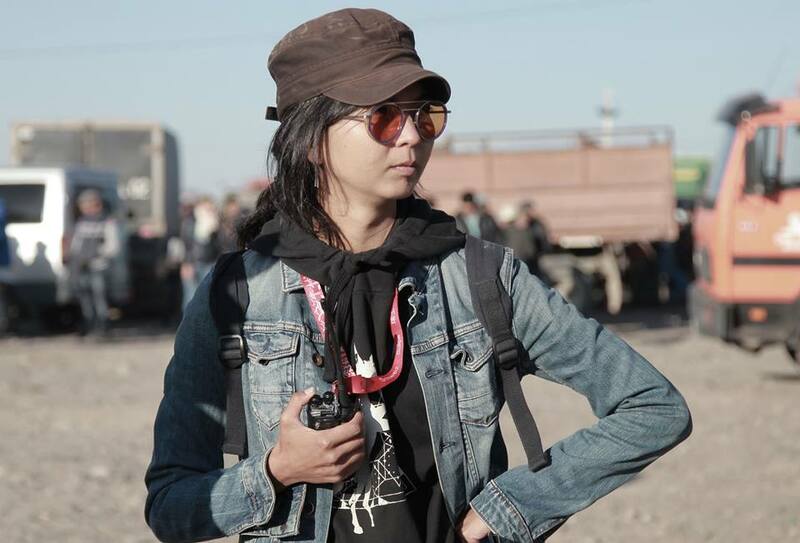 I worked as a set photographer on a feature film in Kazakhstan, and I also did some acting and photography courses before applying to LFS. S.M: What made you decide to change careers and go into film? Had you always had an interest in filmmaking? And do you have any advice for those coming from a non-filmmaking background? Z.A: I didn’t really enjoy working in the corporate sector, but on the other hand, I had a genuine interest in literature, psychology and photography. And then I thought - filmmaking perfectly sums up all of the above, so I decided to give it a try! I didn’t have a film background, but I tried to compensate for it with some work experience. I don’t think you can just walk in to the Master’s program without knowing anything. Maybe you can, but for me, it was much more valuable to experience a film set before coming to the School. Another way is to go for shorter courses. For example, my short course in photography helped me to understand cinematography. Two months of stage acting also prepped me for directing. S.M: You focused on both directing and producing during the course – can you tell us a bit about the work you did at London Film School? Z.A: Over the three years I produced several films around the world, including Paisley Valentine Walsh’s ‘Birch’ in the USA (which won Best Short Film at the British Society of Cinematographers) and Cem Demirer’s ‘Hangnail’, shot in Turkey, which he is currently developing into a feature. I also co-produced a feature directed by Joshua Magor called ‘Siyabonga/We are Thankful’, which was shot in South Africa and was an Official Selection at the 71st Locarno Film Festival. On the directing side, my first short was my Term 4 film ‘The White Orchid Hotel’, which premiered at the Camerimage Film Festival, got selected for the 16th International Student Film & Video Festival of the Beijing Film Academy, the Blow-Up International Arthouse Film Festival in Chicago and eventually got sold to Shorts International. S.M: That’s quite an impressive start! And what about your graduation film? 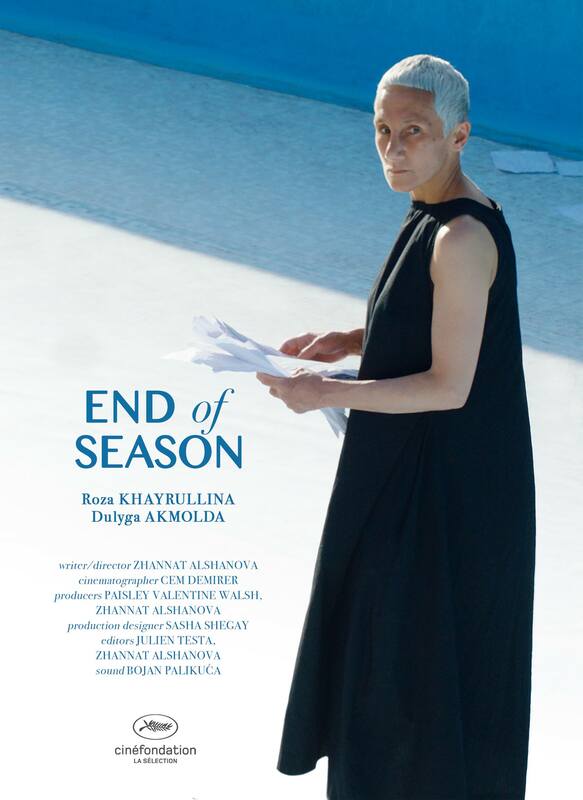 Z.A: It’s called ‘End of Season, and it’s about a woman rediscovering her passion for life. Apart from the local talent in Kazakhstan where we shot, I had amazing people from LFS in my crew– Paisley Valentine Walsh as my co-producer, Cem Demirer as cinematographer, Cait Lyn Adamson as 1st AD, Chloé Deleplace as 1st AC, Joan Vicente Durà as gaffer, Laura Seward as spark and co-editor Julien Testa. We shot it at the Hot Springs resort on the border between Kazakhstan and China. The film premiered at Cannes’ Cinéfondation and won the Best Cinematography award at the Munich Film School Festival. S.M: What did you gain most from your time at LFS? Z.A: For me, LFS was all sort of things: fun, challenging, stressful, competitive. I had a completely different background, so I was learning everything about filmmaking from scratch. And you learn a lot about how to work under all kind of pressure. But most importantly, I met amazing people, who I would like to continue working with. S.M: How did you go about applying to Berlinale Talents? Z.A: To apply for the Berlinale Talents, you have to submit samples of your work and discuss your creative and collaborative approaches. Most of all I enjoyed talking about artists that have influenced my work in one way or another - it made me think a lot. The transition from film school to the industry is not necessarily smooth and easy, so I’m really excited about this new opportunity with Berlinale. I miss the creative energy of crazy filmmakers that I found at LFS terribly! S.M: What else have you been working on since graduation, and what advice would you give to other students about to leave film school? Z.A: Since graduating, I’ve been freelancing as a 1st AD and developing a script for my first feature, which I hope to finish at some point! I don’t know if I am in a position where I can give advice yet, as I am still figuring out the path. But maybe I would say – listen to your instincts and see where they will lead you. S.M: If your instincts are anything to go by, that seems like very good advice! We wish you the best of luck with your very-deserving selection for Berlinale Talents.